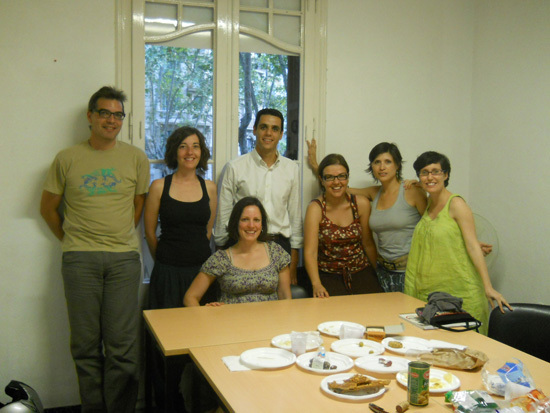 Teach English in Spain | Travel to Barcelona. Culturally students will be more attentive toward a warmer, more social exchange from the teacher and a direct yet diplomatic approach to enforcing study habits. 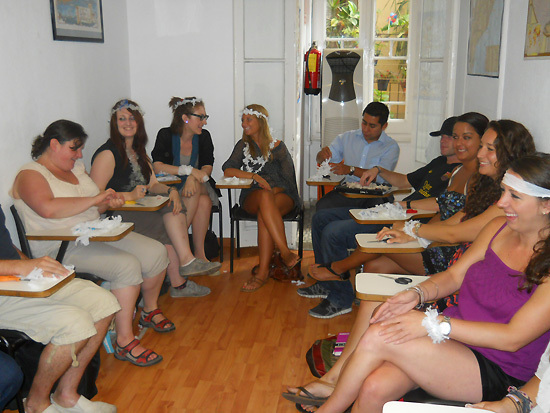 Spaniards love to talk so make classes as interactive as possible. Wages for full time work can be approximately $1,000 USD per month; rent can be at least half of that salary especially in the larger cities. Some schools may find at least temporary apartments for the foreign teacher. There are a lot of resources for finding a place to live; the Spanish people are very receptive and willing to help with such arrangements. Most landlords will require a deposit and some up to two months' rent in advance, so financial preparations are key. The trend in Spain is to teach English in primary schools; to start the process early. The push for primary language acquisition has even reached private language institutes. There are a number of programs set up for younger students such as summer camps. Growth economically has been sharp in the country; therefore, inflation is high so although there are numerous positions available the jobs are not very lucrative. Accommodations are expensive and working conditions on the whole are not advantageous. Competition is reportedly high as Spain is a popular selection for the foreign worker. With many considerations in mind the teacher must have high credentials to teach in the country. Large chains of institutions are the best bet when job hunting as many have resources, operate above the law and when the teacher is willing to commit to a certain time frame the working conditions are considerably quite agreeable. There are libraries, newspapers and even the telephone book to research when job searching. The best time of year to arrive is early September for the beginning of the school year. Another good time to get a job there is in November and also January as some teachers quit for the holiday season. Room and board can be exchanged with a live-in tutor for families with children. Freelance work pays higher as is always the case but consideration must be given to travel time and expense. Unemployment is high in Spain so the ability to obtain working documents from anyone outside the EU is a tough measure. Before coming over from North America it would be wise to do a heritage search for any relatives from Europe; this would make the task of obtaining documentation much easier. Another tip for legally working in the EU would be to arrange all necessary paperwork from your home country and to land a position before coming over. 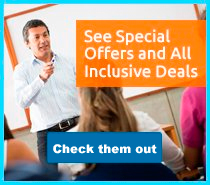 It is enormously beneficial for the instructor to have a working knowledge of Spanish as the pupils especially those in the lower levels will respond more fervently and thus learn quicker. Spain is known to be one of the great empires with a continuing legacy. There still exists a king as head of state along with his heir apparent. There is a parliamentary democracy in place to govern. It is a country which suffered in the early 20th century through a civil war that depleted the spirit of its people. Freedom has been an important mandate recently for the country as it had to modernize very quickly after being under military rule till the early 1970s. Economically, it remains at a stable point relying mainly on tourism; however is behind others in terms of wealth in the European community as there is considerable unemployment. The population of Spain is estimated at over 40 million people. Nationality is homogenous with two classifications of Spaniards ones from the north and ones who live along the Mediterranean shores. There are different dialects spoken of the language, however Castilian is the official one. The geography of Spain is delightfully varied, to the north being bordered by the Pyrenees mountain range, to the west the Mediterranean Sea, to the south the North Atlantic Ocean and finally the east on the Bay of Biscay. There are three different climates in the country, one being continental with hot summer, cold winters, another being maritime moist weather and the last being Mediterranean which is mostly mild and temperate. Temperatures range from 30 F minimum to 101 F maximum throughout. The currency is the Euro. 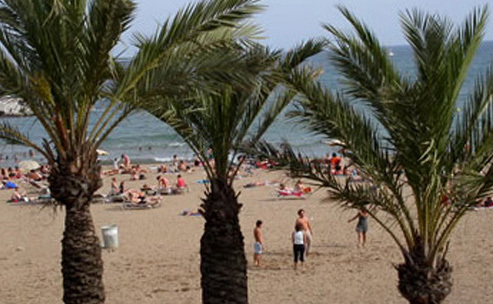 The most favorable time of year to travel in Spain is during May, June and September to avoid the huge summer crowds. Places of interest to explore must include: Barcelona, Madrid, Valencia, Granada and Ibiza. 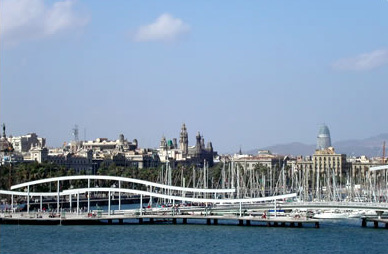 Barcelona has become one of the most happening, trendy, artistic cities in the world. It abounds with Goth style medieval churches, palaces and buildings as well as vibrant buildings all over, put there by the eccentric larger than fiction architect Gaudi. 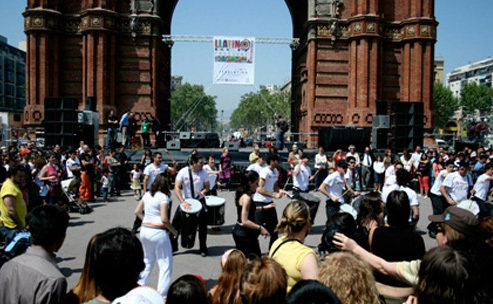 The sites, music, food, fashion and excitement of Barcelona stays with the visitor for a life time. Madrid, the capital, tells the history of Spain in all its formality with an exploration of the royal residence, and has a world class dining scene, galleries and night life. For those in search of the Holy Grail, Valencia the city of the citrus is worth seeing. The main palace is in the "over the top" Baroque style which is unbelievably busy to our human eye; certainly, there has never been an era like it since. There are many parties to be welcomed to; some very special art exhibits to feast one's eyes on and the best times of year to travel are during the festival months. Granada is situated in the south near the strait of Gibraltar just on the pathway to the African continent. It is a laid back small city in the Sierra Nevada rolling hills which displays the historical significance of the Moorish people who had lived there centuries ago. The atmosphere is charming, tranquil and the people are warm. Ibiza is inhabited by tourists year round as it is known for its non-stop party palaces in a night club scene where the dancing never ends. The beaches are long, with soft white sand and the town itself is full of beautiful architecture. It is a club culture to be experienced at least once. What are the living expenses in Spain? Prices for rent, food, enterntainment and utilities are relatively cheaper than the rest of Europe.